Unfortunately, my crappy cell phone camera could not adequately capture the unique character of O’Mally’s. 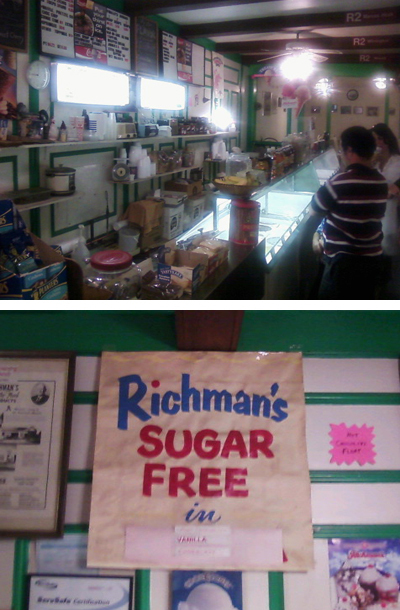 Entering this old ice cream parlor in Media is like going through a time warp. There are a ton of great hand-lettered signs, while later additions are of the charming 1960s vacuum-moled variety. This joint is an art school photography student’s dream.